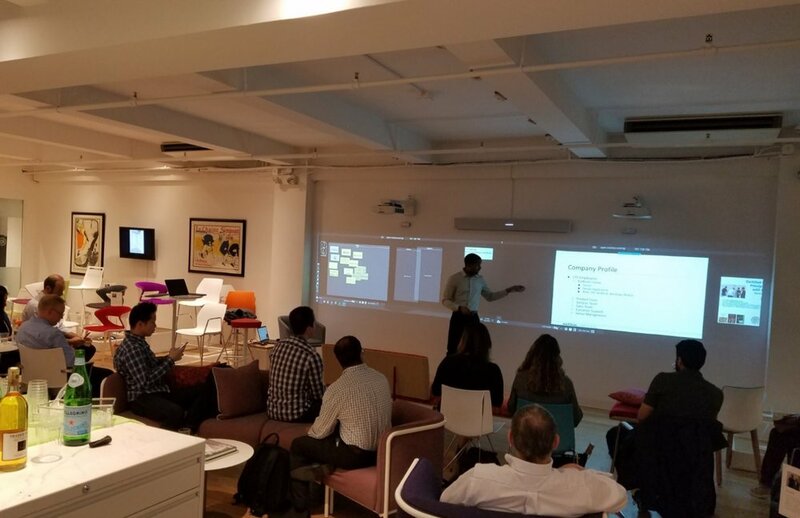 On October 12th I was pleased to present Natoma Consulting's "Web and Mobile Applications Company Agile Transformation" case study at the NYC Large Scale Scrum Meetup, courtesy of founder Gene Gendel. Throughout the evening, the meetup attendees graced me with their participation, energy, and many thoughtful questions. Several inquiries touched on how to scale LeSS in an organization with thousands of people, how to build effective lines of communication between Product and Sales, how to effectively engage Management and ensure effective collaboration and support, and also the always interesting "how do LeSS and SAFe compare" question. In other words, conversation was lively, engaged, and targeted. For over two hours I was able to share experiences with the attendees and dive into their own questions and concerns in a collaborative fashion. It was a lot of fun, and I'm very grateful to Gene for the opportunity to give back to the community. Many thanks as well to Ellen Afromsky for her help and support in setting up the collaborative space we used as well. I look forward to continuing to participate in the NYC LeSS Meetup community and am excited to see all of you again at future meetups and events! Thanks for submitting your information. To download the presentation, click here.